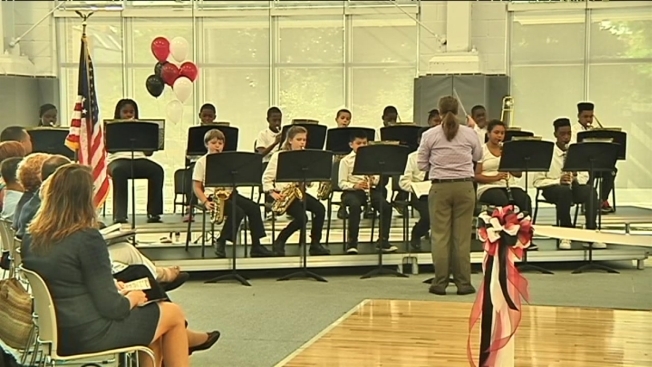 Officials in Alexandria cut the ribbon for the new Jefferson Houston School on Cameron Street Friday. The new school will serve students in grades kindergarten through 8, and it offers preschool and head-start classrooms. All the classrooms are state of the art. And in the gym, the school's Jaguar mascot is painted on the floor. Alexandria's town crier announced the dedication -- and the Jefferson Houston band had a part in the celebration, too.